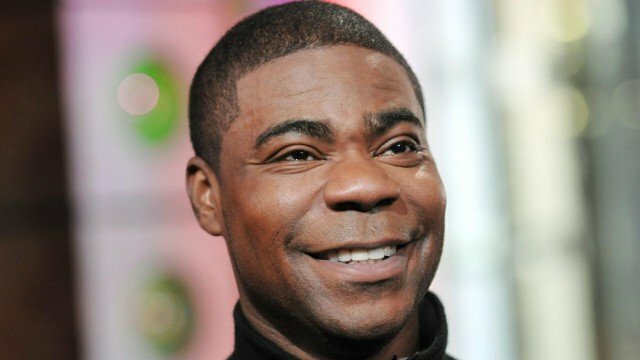 Tracy Morgan is “fighting to get better” but may not recover from the brain injury he suffered in a car accident in June, his lawyer has said. “If there’s a chance for him to be back to the Tracy Morgan he once was, he’s going to try to do that,” said Benedict Morelli. The 30 Rock comic is seeking compensation from retail giant Walmart after one of its trucks crashed into his limousine bus. Fellow comedian James McNair died in the June 7 crash on the New Jersey Turnpike. Former Saturday Night Live star Tracy Morgan, 46, suffered a traumatic brain injury in the accident, in addition to a broken leg, nose and ribs. The update on his condition came as lawyers met in New Jersey to agree on a schedule for Tracy Morgan’s legal action against Walmart. Tracy Morgan spent several weeks in a hospital and in rehab and is “just not better” according to his attorney. “We’re hoping and praying to get him back to where he was,” said Benedict Morelli. Truck driver Kevin Roper, who is not named in Tracy Morgan’s action, has been charged with death by auto and four counts of assault by auto. Walmart are contending that Tracy Morgan’s injuries and James McNair’s death were partly their own fault because they were not wearing seatbelts.